Bondville: Maryanne Moodie rugs for Arro Home - yeah! Maryanne Moodie rugs for Arro Home - yeah! 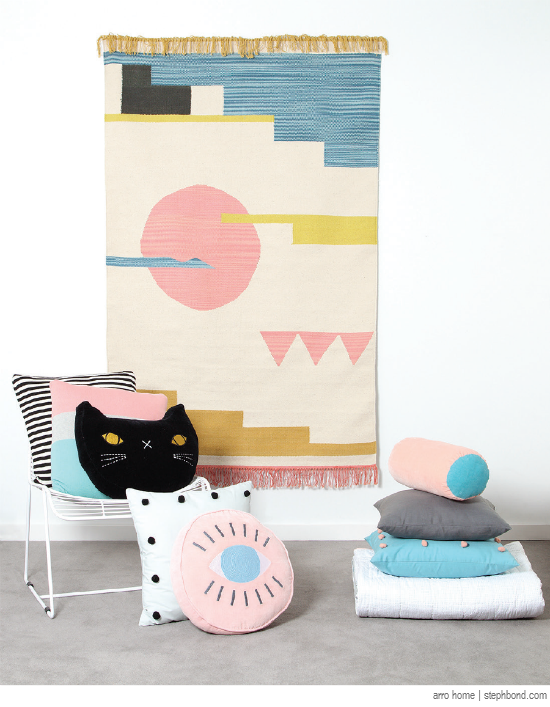 Arro Home has nailed it with these gorgeous rugs designed by Aussie weaving expert Maryanne Moodie, now living in New York City and owning the loom over there too. These pieces are gorgeous - I want both the Adamas and Desert Storm rugs - and look fantastic with Arro home's signature cat and eye cushions and range of bedding. You can find the Maryanne Moodie rugs for Arro Home in the Arro Home online store.